Florian Niederlechner staked his claim to be the Matchday 32 #BLMVP with a two-goal display that helped Freiburg to a 2-0 win over Schalke. Click here to buy Florian Niederlechner for your Official Fantasy Bundesliga team! The 26-year-old now has 11 goals for the season after first powering in a shot that Ralf Fährmann could not hold, before keeping his nerve with a cool penalty that sent the Schalke keeper the wrong way. It rounded off a week to remember for the striker, who made his loan move from Mainz into a permanent deal a few days before this match-winning display. Was Niederlechner's performance good enough to win the Matchday 32 #BLMVP award? If so, vote for him now below! 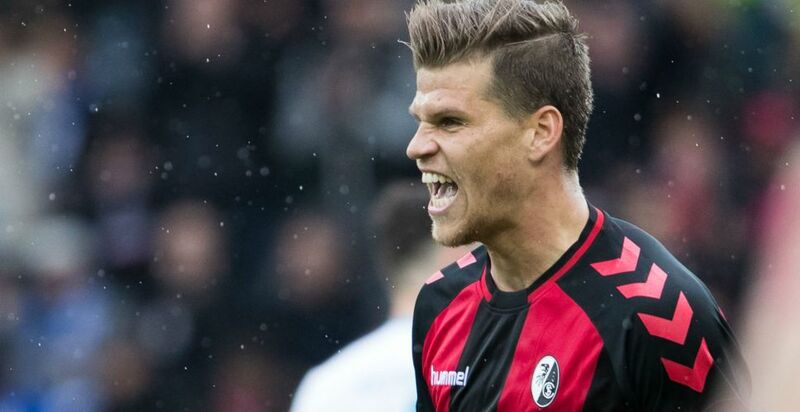 Niederlechner moved two clear of Nils Petersen, currently on nine goals, as Freiburg’s leading scorer this season.His penalty was his third goal from the spot in 2016/17.Uwe Spies is the only German player to have scored more in a Bundesliga season for Freiburg than Niederlechner, having bagged 13 in 1994/95.